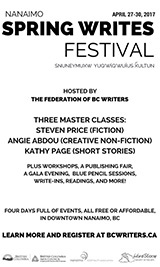 The Malahat's annual literary festival takes place next week! We're excited to bring you four days of author readings, panel discussions, workshops, and more. The Malahat Review is pleased to announce Katherine Magyarody as one of 12 winners for the inaugural PEN America/Robert J. Dau Short Story Prize for Emerging Writers! Her story, "Goldhawk," originally won the Malahat's Open Season Award in 2016 (fiction category). 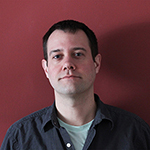 East Coast poet Jake Byrne discusses Indigiqueer identity, community, and non-linearity with Joshua Whitehead, whose short story, "Jonny Appleseed," appears in the Malahat's recent Indigenous Perspectives issue. 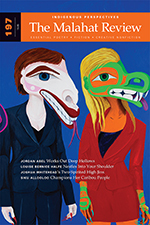 Vancouver Island University professor Paul Watkins talks with Louise Bernice Halfe about her contribution of four poems to the Malahat's Indigenous Perspectives issue: "Finding Bone," "God of nightmares," "it was a pure," and "Skeletons and Cannibals." Hey fiction enthusiasts! If you're an emerging short-story author who has yet to publish a first book (publication in literary magazines is acceptable), we want to read your work! Send us your best short story, max. 3,500 words, for a chance at the $1,000 cash prize. This contest only runs every other year, so start writing! We've reduced the contest entry fee: $25 Cdn ($30 US, $35 international) for one story; additional stories $15 each. 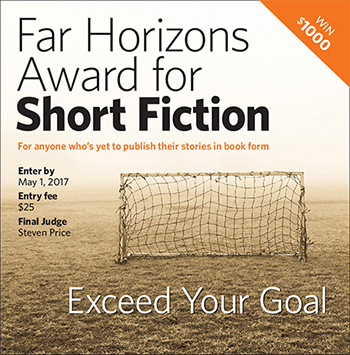 Submit today to the Far Horizons Award for Short Fiction. Canadian editor and poet Kate Kennedy talks with Genevieve Lehr, winner of the Open Season Poetry Award for "two tarantulas appear in the doorway during a thunderstorm" as selected by contest judge, Sina Queyras. KK: I'd love to know a little bit more about the genesis of poem in terms of where you/the speaker is that occasioned the arrival of a pair of tarantulas, or whether it was imagined. GL: This poem is just that. I was house sitting a remote rustic villa at the edge of a jungle on the west coast of Mexico (accessible only by boat) this past summer during the rainy season. It's the time of year of tropical storms, intense heat and humidity, and the place teems with critters one rarely sees at other times of the year. So, there they were on the doorstep, and my reaction was fear. Then, as I sat looking at them wondering what to do, I remembered a friend telling me how sensitive and shy they are. I turned my attention to my hands sitting on my lap and the poem arrived out of that time in the past where a shy, sensitive child was shamed for having dirty hands. The tarantulas arrived as mysteriously as the poem did from a deep, unseen, world. A gift. Read the rest of Genevieve's interview on the Malahat website. Canadian writer Jess Taylor talks with Rebecca Morris, winner of the Open Season Fiction Award for "Foreign Bodies" as selected by contest judge, Jaspreet Singh. JT: Your point-of-view in "Foreign Bodies" is very closely tied to your main character, Marhya. We have access to her thoughts, language, worries, preoccupation with germs, and her perceptions of other characters. This allows the ending, without giving too much away, to pack more of a punch. Did you have an idea before you began writing this story that the ending would hinge on a reversal like this? RM: In earlier versions of the story I gave Marhya more agency, and the ending was going to be more about her decisions and her rejection of the "fate" that she'd been handed. I also played with the idea of contrasting a happy ending with Romeo and Juliet's tragedy; I wanted to write Marhya as a strong, sensible and determined girl with 21st-century options. Read the rest of Rebecca's interview on the Malahat website. Malahat marketing intern L'Amour Lisik talks with Matthew Hollett, winner of the Open Season Creative Nonfiction Award for "Kiki, Out of Focus" as selected by contest judge, Molly Peacock. LL: In your blog, you note that you're particularly interested in "the city as palimpsest." In "Kiki," this notion surfaces and resurfaces. Even the real Kiki fades behind the Kiki you remember. What initially drew you to this refrain of palimpsest? MH: This essay is about a time in my life when I had recently completed the MFA program at NSCAD University. I spent much of my time in Halifax walking around the city, writing and taking photographs, and my thesis exhibition at NSCAD was about walking as an art practice, and interstitial public space. I'm fascinated by the way history and memory are anchored to place, especially in the densely inhabited landscapes of a city. At the time I was reading a lot of books about walking, like Rebecca Solnit's Wanderlust, W.G. Sebald's The Rings of Saturn, and Lisa Robertson's Occasional Works and Seven Walks from the Office for Soft Architecture. Read the rest of Matthew's interview on the Malahat website.